The Journey That is Physical Training. One on one training should be like a having a guide taking a hiker down a path. Unknown to the hiker but well traveled by the guide. The guide knows where the missteps are and how to avoid them. What is the quickest and safest route to the agreed upon destination. A guide who has never been down the path will undoubtedly take you down wrong roads and dead ends. Fitness training is a life time journey. One needs to stay strong, mobile and have energy in reserve for as their entire lifespan. At Girya Personal Training we have been traversing this path ourselves and helping others to so since 1979. We have learned through intense training, competition, coaching and research what works and what does not. For the average person or the competitive athlete. Most people are interested in the quickest and safest methods for getting lean, strong and having tons of energy. Without hurting themselves in the process. These methods are secrets and not many know them. We do because we live it. It is our passion and our obsession. Fitness training uses tools; the kettlebell or the dumbbell, but the real tool you employ is your body. Learning how to use it to train effectively is the real secret to lifelong fitness. This is why we make such consistent use of the kettlebell; nothing gives you more for less. The best gains in fitness always, always come from consistent training over a long period. The most common reason people stop training is lack of motivation and injury. At Girya we provide answers to both problems. Generally speaking once session a week is considered maintenance, twice a week is a solid base to learn from and three sessions per week will give the fastest results. Personal training at Girya starts with a Comparative Range of Motion Assessment (C.R.O.M). What this quick evaluation does is look at all the joints in your body and how they move relative to how they should move. Restricted necks, shoulders, knees and backs can set off a host of muscle tightness and imbalances that can cause very serious injuries. Especially if you load those joints with weight. We use a variety of stretching, mobilizing and stabilizing techniques and tools to bring the muscle/joint structure as close to possible to neutral, a key to staying injury free. Stability balls and boards and the latest stretching technologies strengthen you from the inside out. After discovering where and what the muscular restrictions are with the C.R.O.M we set about using very specific exercises and stretches completely specific to your unique needs. Basic primal movement patterns need to be developed before one can overload the body safely with hard training. To do so before is to invite injury. Squatting, lunging, pushing, pulling, bending and twisting movements must be pain free and functional to be able to train progressively and for long periods of time. Stability and Bosu balls, body blades ,dyna bands and kettlebells are used in this period to develop a solid base of flexibility, stability , strength and endurance in the entire body. Much attention is paid to using the foam roller and self myofascial release to remove muscle pain, tightness and spasm and restore full joint range of motion. 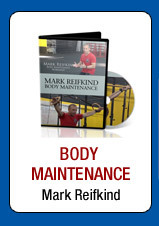 3) Changing Body Composition and Increasing Functional Fitness. Most people come to a personal trainer to change the way they look and feel. They want to learn how to get lean, toned, look better and have more energy. Whether they want to decrease the size of the hips and thighs or increase the size of the chest and arms changing their appearance is critical to most peoples training goals. To do so up until now the most effective way was a three fold approach. Resistance training built the muscle and increased the metabolism. Cardio training burned the calories, fat and increased energy. A proper eating plan helped support the weight training and cardio training by providing nutrients for increasing recovery and decreasing fat. 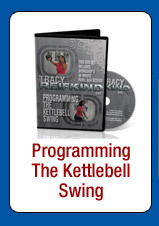 Kettlebell training has changed all that. Now, strength, cardio AND flexibility/stability training can be accomplished in a much shorter time as well as much more effectively through the proper use of the Kettlebell. Dumbbells, barbells and bands are also used in our personal training sessions but experience has shown us nothing works quite as well as the Kettlebell for getting the job done quickly and safely. Why waste time? The cost of the C.R.O.M assessment or private training with Mark costs $125 and lasts one hour. Please note that their is a 24 hour cancellation policy for all sessions. You can pay by check or PayPal. For more information, please email Mark at info@giryastrength.com. To Train with Tracy Reifkind, click here.